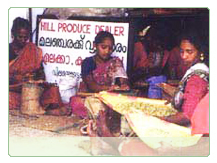 Kerala history is closely linked with its commerce, which in turn was wholly dependant until recent times on its spice trade. 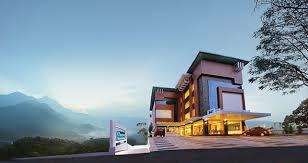 Kerala was known for its spices and traders travelled here to trade and to gain control over this rich land. It is believed that the spice trade dates back to three thousand years. Pepper still remains the king of Kerala's spices, but the state also rich in cardamom, cinnamon, nutmeg, ginger and turmeric. As in the past , the state continues to be the spice capital of the world. Over twelve varieties of spices including ginger, garlic, cardamom, vannilla, pepper, cinnamon, coffee, tea, clove and nutmeg is cultivated in Munnar and its neighbouring villages. Scientific name: Elletteria cardamomum Best altitude for cultivation : 1500 Mtsabove sea-level. Temperature : 10°C - 25°C. Rainfall required : 1500 mm. Propagation : Seedlings and vegetative propagation. Pollinating agent : The honey bee. Harvest season : October to February. 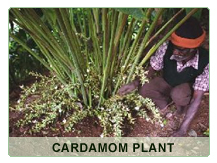 A cardamom plant normally starts bearing capsules from the third year of planting. The harvested capsules are rubbed on wire mesh and polished before they are graded and stored in polythene-gunny bags to retain the green colour and to avoid exposure to moisture. Rainfall required : 2500 mm. Important varieties : Panniyur -1, Karimunda, Kuthiravally, Arakkulam Munda, Balankotta and Kalluvally. 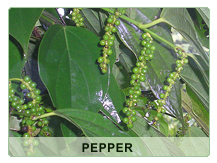 The pepper plant grows best in a warm and humid climate. Berries mature and are ready for harvest in about 180 to 200 days. Black pepper is produced by sundrying the mature pepper berries for 3 - 5 days after they are separated from the spikes by threshing and white pepper by retting mature berries in clean water for 5 - 7 days, removing the outer skin and drying the seed after thorough washing. Clove trees begin to bear flowers 7-8 years after planting. Unopened flower buds are carefully picked when they turn from green to pink. The buds are then allowed to dry for 4-5 days till they become crisp and dark brown in colour. The rostellum of the flower is pushed back with a pointed bamboo splinter and the overhanging anther is pressed against the stigma with the thumb, thus smearing pollen over it. The ideal time for pollination is 0600 to 1300 hrs. 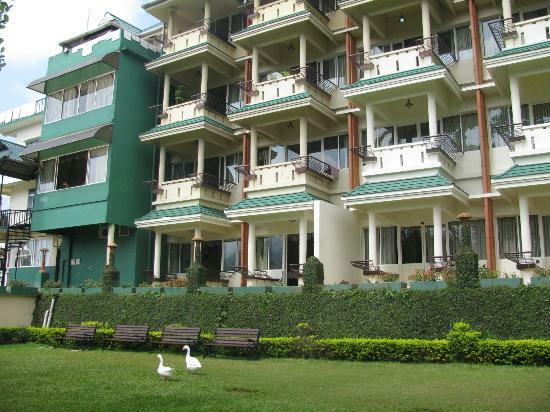 A tropical orchid, this requires a warm climate with frequent rains. 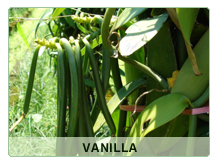 Vanilla grows best in uncleared jungle areas where it can get filtered sunlight. A creeper, the plant requires support up to height of about 135 cm. The plant usually begins to flower by the third year. The bean takes 10 to 12 months to reach full maturity. Cinnamon plants are ready for harvest about 3 years after planting. Harvesting is done twice in a year - in May and November. The bark of the cut down shoots is split on the day of harvest itself and dried in the sun for 2 - 5 days. The dry quills or bark are packed in bundles for trade. Leaves and tender twigs are used for extraction of oil by distillation. 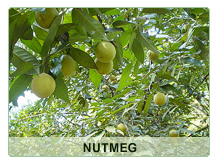 The Nutmeg tree bears fruit throughout the year, but peak harvest season is from December to May. The nuts split open when the fruits are fully ripe. After dehusking, the red feathery aril (mace) is removed, flattened out and dried in the sun for 10 - 15 days. The nuts are dried separately for 4 - 8 weeks till the kernels rattle within the shells. Tea plantation South India are located on the Western Ghats, the eastern part of central Kerala and adjoining part of Tamil Nadu, usually at an elevation of 4300ft to 6200 ft. above sea level. 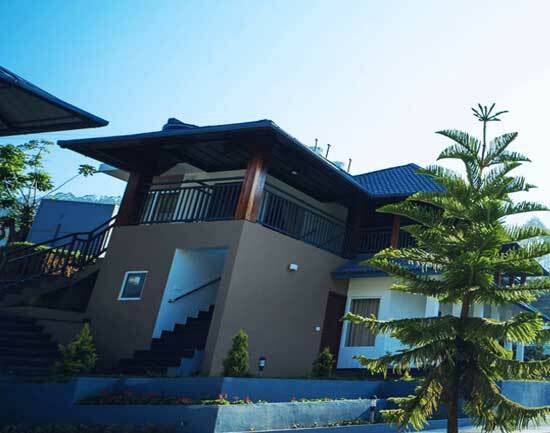 The high ranges of Munnar were earlier known as Kannan Devan Hills, named after a certain Kanan Devan who had been a landlord in the Anchanad Valley on the Eastern side of the district. Tea cultivation started on the Nilgiris in 1832 on an experimental basis, and later in 1878 was taken up on the Kanan Devan Hills in Munnar. Today, tea is cultivated on 24,000 hectares of land in Munnar, Peermade and Devikulam areas with an annual yield of 50,000 metric tons. The tender tea leaves collected from the plantations are withered in hot air at the factory and then sent to the rollers. After being rolled into particles and fermented, they are fed into dries before they are ready to be packed. Stimulates the central nervous system Leads to increased period of awakening Prevents drowsiness and dullness Keeps alert the intellectual faculties. Coffee cultivation in India dates back to 1600 AD Coffeewhen Ba Abadan, a Muslim saint from the holy city of Mecca brought 7 precious coffee seeds and sowed them in the Chandragiri Hills near Chikmangalore in Karnataka. The main varieties of coffee cultivated today are Robusta and Arabica. 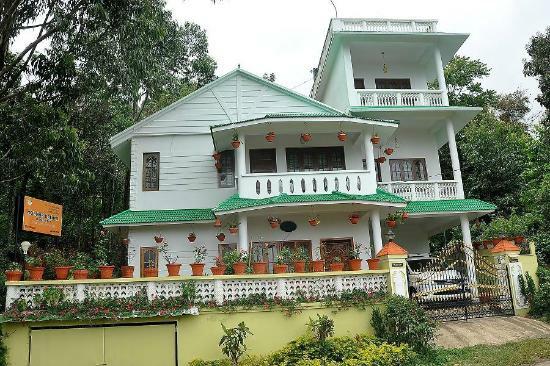 Coffee plantations occupy 15,400 hectares in Devikulam , Peermade, Thodupuzha and Udumpanchola taluks of Idukki. The average yield per hectare is 320 metric tons.